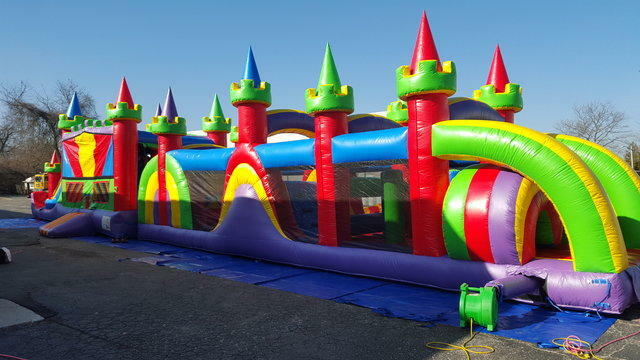 Finally-an obstacle course rental that has a bouncer! You can also add an art panel to the obstacle course to match your party. We have hundreds of themes for you to choose or rent it with its beautiful colors alone. The 65’ Mega Bounce Obstacle Course will entertain young and older kids for hours of energetic fun! You will experience pop up-obstacles, tunnels, walls, slides and other challenging obstacles. If the kids are too small to run the course, they can bounce in the house. We love this rental as it accommodates kids of all ages.